From birth to young adulthood, your child's teeth gums and other mouth structures steadily grow and mature. Sometimes, though, problems arise and get in the way of their oral health. It's important we detect when that happens and take action. We can sort these potential problems into three broad categories: developmental, disease and injury. The first category includes such problems during their childhood years as teeth erupting out of position or the jaws growing improperly and becoming abnormally long, short, wide or narrow. The possibility of developmental problems is a primary reason for regular dental visits, beginning around your child's first birthday. If we can detect a growing problem early, we may be able to minimize or even reverse its impact to your child's oral health. Regular dental care also helps control disease, particularly tooth decay and cavity formation. Our primary aim is to treat decay, even in primary (baby) teeth: losing a primary tooth to decay could adversely affect the incoming permanent tooth's jaw position. Besides treatment, we can also help prevent decay with topical fluoride treatments (to strengthen enamel) and sealants. Although not as common as disease, dental problems due to injury still occur all too frequently. Blows to the mouth can chip teeth, loosen them or even knock them out. For any type of visible tooth injury you should visit us or an emergency room immediately — time is of the essence especially to save a knocked out tooth. Be sure you recover and bring any knocked out teeth or chip fragments. We can also help you on the injury prevention front as well. 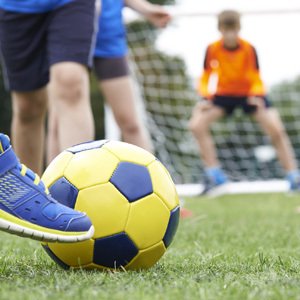 For example, if your child participates in contact sports or similar activities, we can fashion a custom-fitted mouth guard to protect their teeth and soft tissues. Keeping a vigilant eye for these potential problems will help ensure your child's future oral health is the best it can be. The sooner these problems are detected, the better and less costly their outcome. If you would like more information on caring for your child's teeth and gums, please contact us or schedule an appointment for a consultation.